Philadelphia police officer shot, wounded in Kensington; 2 in custody. Maggie Kent reports during Action News at 4pm on November 7, 2018. KENSINGTON (WPVI) -- Authorities say two suspects have been arrested in a shooting that wounded a Philadelphia police officer. "The quick action of these police officers probably save the life of one of these people involved, quite frankly. It was going to be a shooting, there is no question about that," said Ross. The armed man fired at the officers, hitting Sulock in his thigh. Philadelphia Police Commissioner Richard Ross responds to shooting of officer outside Temple University Hospital on November 7, 2018. It wasn't long before law enforcement that descended on the shooting scene. They focused their attention on a house in the 3100 block of Custer Street. That's where four people were brought out and handcuffed. Sources say a black male dressed in a white undershirt, who could be seen on video from Chopper 6, is the suspected gunman. "We'll make sure that we have nothing but the finest attorneys developing this information, developing the investigation and prosecuting this case," said District Attorney Larry Krasner. 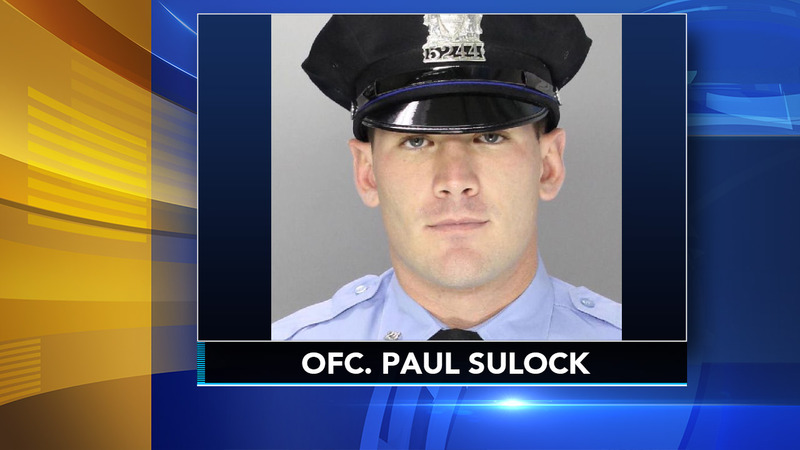 Philly officer recovering after being shot in Kensington. Gray Hall reports during Action News at 4pm on November 7, 2018. Police have not released the name of the man suspected of shooting officer Sulock. Police said Sulock, a father of four, has been on the force for nearly 11 years and is the son of another officer. Officer Sulock was congratulated by the Philadelphia Police Department for being an "officer of the month" in a tweet back in September 2015.